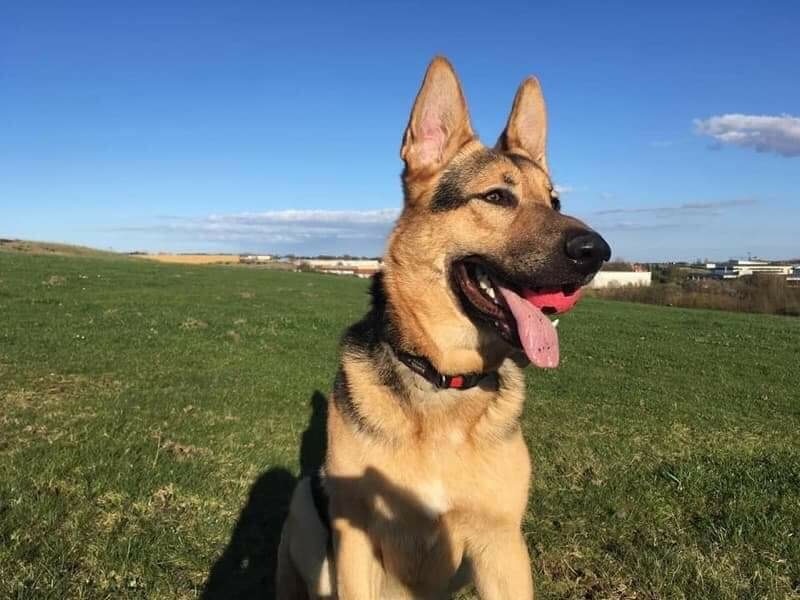 Bentley was born November 2016 and has had a very interesting life including being gifted the police but failing to meet their standards and then being adopted and needing to come into rescue due to his reactivity. He has lived with other dogs but outside can be insecure and reactive however he is being socialised and becoming much better daily. He is a big strong lad who loves his toys and walks and has a strong prey drive. He cannot live with small children as he thinks they are quite scarey when they jump and shout however he is fine with older children. Bentley is a big fun boy but very insecure but with the right home and a confident handler he is an amazing boy.